Monday 7th November 2016, at 2pm until 5pm. To attend please register on the event’s EVENTBRITE page. Brazil is one of the best-known football countries in the world. The Brazilian international team has won the FIFA World Cup five times besides many other important tournaments. However, the local football market does not enjoy the same reputation for success. 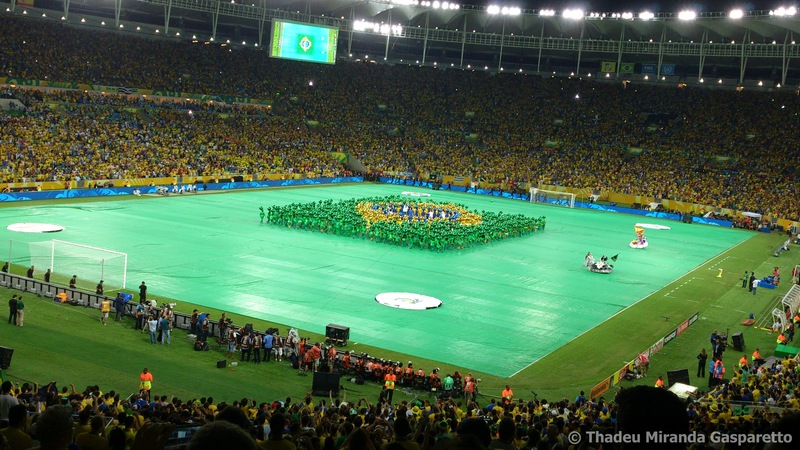 The Brazilian football market presents several differences to European ones. The sporting calendar commences in January, first tier clubs play against non-league teams in the regional State Championships, there have been many changes in the competitive design of the Série A across its history, and has very small attendances for many matches, these are just a few of the unusual features that the Brazilian professional football market exhibits. In this seminar the outputs of a collection of academic research papers authored by Dr. Ángel Barajas and Thadeu Gasparetto over the last three years which have as their subject the economic and sporting health of the Brazilian football system will be presented. Specifically, a number of critical issues in sport competition design will be examined in the context of the Brazilian football system: (1) whether Brazilian fans prefer a playoff system or a conventional league structure in their main tournament; (2) the level of competitiveness/competitive balance in the Campeonato Brasileiro; (3) how each of the local Brazilian tournaments contribute to Brazilan clubs’ revenue generation; (4) the determinants of live attendance at Brazilian football; and (5), the television broadcast demand for Brazilian football as well as the role of the brand-teams in the States’ Championships. The presenters will reflect on the current economic and sporting health of Brazilian football and speculate on what measures need to be taken to enhance its attractiveness. Ángel Barajas is an associate professor of financial management in the Department of Accountancy and Finance at the University of Vigo, Spain, and a researcher for the Spanish Economic Observatory for Sport (Observatorio Económico del Deporte). He is Leading Researcher and Academic Supervisor of the Laboratory on Intangible-driven Economy at the National Research University Higher School of Economics (Russian Federation). He has been the Director of the Master Programme on Sport Management at the University of Vigo and currently is its Academic Secretary. His research interests include investment valuation and the finance of sports, particularly professional football. Thadeu Gasparetto is a PhD Student in Education, Sport and Health at the University of Vigo (Spain) and and Erasmus Exchange Student at Birkbeck, University of London (UK). Moreover, he is a Junior Research Fellow at the National Research University Higher School of Economics (Perm, Russia). He has a Master’s Degree in Sport Management at University of Vigo (2014) and Bachelor Degree in Physical Education and Sports Sciences at Federal University of Juiz de Fora – Brazil (2012). He is member of the International Association of Sports Economists and the European Association for Sport Management. Thadeu Gasparetto has worked as Administrative Manager in Tupi Foot Ball Club during the Campeonato Mineiro Módulo I (2013) and was an intern at Fundación Celta de Vigo (2013). He has been researching about sports economics and management withparticular focus on the economic and financial issues of Brazilian football. Gasparetto, T., & Barajas, Á. (2016). Playoffs or Just League: A Debate in Brazilian Football. The Open Sports Science Journal, 9, 94-103. Gasparetto, T., & Barajas, Á. (2016). Reanalizando la Competitividad en la Industria del Fútbol: Diferencia Acumulada de Puntos. Revista de Administração de Empresas, 56 (3), 288-301. Gasparetto, T., & Barajas, Á. (2016). Influencia de los torneos en la generación de ingresos. Revista de Psicología del Deporte, 25 (1), 33-36. Gasparetto, T., Fernández-Jardón, C., & Barajas, Á. (2014). Brand Teams and Distribution of Wealth in Brazilian State Championships. HSE Basic Research Program, Working Paper No. 30/MAN/2014.